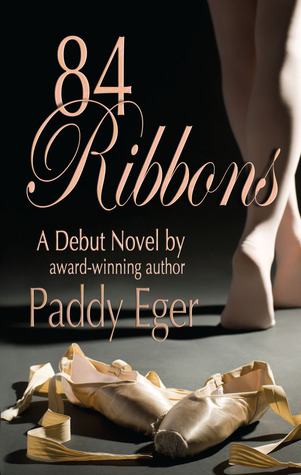 The Debut novel by award-winning author Paddy Eger. A young dancer's realizes her life long dream, if only for a while. After a couple of mishaps, Marta settles into life in a boarding house located near the ballet company. Her landlady, Mrs. B., is friendly, reduces her rent when Marta's offers to bake for the boarder and later allows her to use the basement as a practice studio. The two male boarders are supportive; Carol, a fellow boarder, ignores her. Madame Cosper, the artistic director, is a demanding woman. Marta begins their association poorly when she makes a disastrous choice. Expecting expulsion, Marta receives a second chance in the form of dancing the unpopular character roles during the fall and winter performances.Marta determines to dance every role with confidence in hopes of proving to Madame that she's up for every challenge. Steve, a young college man and a reporter, spots Marta when he's assigned to write an article about ballet for the local paper. He's attracted to her and begins his pursuit.Over the months ahead, he becomes her tour guide of the area and attempts to convince Marta to be his girl. But her steadfast focus is ballet and some of her adventures with him lead to problems with Madame Cosper. You can read an excerpt of 84 Ribbons HERE. I wasn't sure what to expect from 84 Ribbons when I opened it up. It's the first story I've read about a dancer, and specifically a ballerina. It did feel a little more like a New Adult novel than Young Adult due to the fact that Marta is graduated from high school and out on her own, and that her love interest is in college and working on his career. I also categorized this as a contemporary novel, but it is actually set in the late 1950's, so that was an interesting twist. I ended up really enjoying this story and falling in love with these characters. I had to remind myself that Marta was only seventeen for the first half of the story and then eighteen for the other. I had these expectations or ideas of how she would act or react and then she would go her own direction (for some reason, lol). I just could see what was going on and how she was hurting herself and others and I wanted to grab her at parts and get her to see reason. Of course she had to come to terms and learn on her own and it was a little painful in spots. I did love her and her determination and strength. Then there was Steve. Oh, my goodness! That boy was a sweetheart and a very patient guy!! I loved the way he teased Marta and how Marta wasn't afraid to challenge him or call him on his less than desired behavior. There were parts between the two of them that cracked me up and made me smile. The romance took a secondary role in this story and wasn't overwhelming. I also loved Marta's friends, Lynne and Bartley. They had some rough patches and there were some very sad moments, but there were also sweet and fun ones. Marta's mom, Mrs. B., the boarders, and the dance instructors were also fun side characters. This story dealt with anemia and diet pills and how some of the girls felt they weren't skinny enough. Tough subject. I thought that the story and author handled it well. It also wasn't the only focus. Making it as a ballerina is really tough and the author didn't shy away from the environment and describing the sacrifices and long hours and abuse these characters went through. Marta really struggled to find her place and then to face who she is without dance. I'm really looking forward to seeing if she figures things out and finds herself in the next book. There were parts that were a little lengthy and I would have loved more tidbits or nostalgia from the historical setting. I didn't necessarily get the feel of the 1950's besides some facts being thrown in here and there. I could have used a little more swoon-worthy moments as well. I also am still wondering about the other girl boarder's story. She plays kind of a negative role, but we never find out why. Overall, this was a sweet, moving, and enjoyable story. I would definitely recommend it for those interested in dance and who enjoy reading contemporary romance. Paddy Eger loves to write. 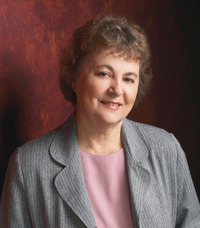 She focuses on writing YA novels with a trilogy about ballet as her first series in production. 84 Ribbons is the debut book recently released. As an elementary teacher as well as since her retirement, she works in classrooms assisting students as they develop their writing skills. Paddy Eger loves books! She reads picture books to primary classrooms, enjoys YA books and finds the process of learning to read intriguing. "As a person who learned I was dyslexic when I started teaching, I'm proud that my teachers gave me coping skills when they didn't even know I needed them." Paddy Eger loves school volunteers. She's successfully written about volunteering in schools and also enjoys training new classroom assistants. I enjoyed reading 84 Ribbons and I hope you enjoyed my review! I love books about dancing and ballet! This one is new to me but I'll have to check it out. The romance sounds SO cute and I love that it didn't take over the plot. Plus I really like the historical aspect. It was good and I loved the romance. Steve has got to be one of my favorite fictional guys. He felt genuine and he was so sweet and charming. Plus he was so brave to really put it all out there for Marta. I can't wait for the next book!